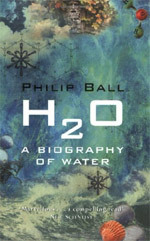 The eight millionth book was H20: A Biography of Water by Philip Ball (2000), added by Kingfish. If LibraryThing were a library, it would be the 14th larget library in the United States (ALA factsheet). At the current rate, we should be in in fifth place (10,370,78 books) by March or April, and second place sometime in the summer. But at 30 million books, topping the Library of Congress will take a few years. If laid end-to-end, LibraryThing’s books would stretch 1,075 miles, from Boston to Milwaukee taking the route suggested by Google Maps. I’m not sure about the straight-line distance. LibraryThing hold 58,580 books by J. K. Rowling. If these were piled on top of one another, assuming three-inch high books, the stack would be eight times taller than the tallest skyscrapper in the world. LibraryThing has 80 times as many books as you have hairs on your head. If the books in LibraryThing were your intestine, and they were laid end-to-end, they would go all the way around the world one and a half times. Blech. The New York Times Magazine! Congratulations to AbeBooks.com, named one of the fifty top ecommerce sites by Internet Retailer magazine. Their category included iTunes, Netflix and SimplyAudioBooks. As many of you know, I sold AbeBooks a 40% stake in LibraryThing back in May—I retain the rest—and LibraryThing and Abe have been working together since. Apparently Abe was picked for its focus on uncluttered findability and… for the investment in LibraryThing! Apologies for recent (relative) silence. Chris, Abby and I met for the first time in months, and we emerged reinvigorated, well-fed, and with some clear short-term objectives: author enhancement, wish lists (dammit), search bugs and a blog-o-licious surprise. Wondering why the site is crushingly slow? The UnSuggester was written up in Slashdot this morning, and the traffic is unbelievable. So – go get a cup of coffee or hot chocolate (it snowed here in Boston last night, so that’s what I’m doing) and surf something else for a bit, read some of those books, or even ponder doing some work – and give us a chance to catch up! Yesterday I completed a three-day odyssey to Victoria for the Abebooks.com Christmas Party. Although Abe owns 40% of LibraryThing, they were 100% hospitable. I could tell what a fun company it was, even before the liquor started flowing. I didn’t have much time to work on the site (but minor tweaks to widgets, catalog), except on planes, where I lacked wifi, but managed to rack up a few blog posts like this one, pushing for a fun library catalog. Thanks to Abby and Chris sending out CueCats and fixing bugs while I was gone. Fellow Portland Mainer John McGrath, of Squirl, hacked together Wordie, social cataloging and social networking for words. Basically, you “catalog” words and arrange them in lists (eg., my products named after their place of origin). If two users share a word, that connects them. It’s a deeply silly idea, but I love that he did it. PS: Wordie is now included among LibraryThing’s “also on” list, available from your profile. Groups now sport RSS feeds for recent messages. We plan to add feeds for your groups, your posts, etc. Tag pages now offer feeds for the most recent books tagged X in your library. They are also available when you look at a tag in your catalog too. LibraryThing widgets are now available in the Latin-1 character set (UTF-8 remains the default). If you have a blog in Latin-1, and a lot of non-English books, widgets now work. LibraryThing’s universal import feature now accepts raw, encrypted CueCat data, so you can scan your books away from an internet connection. The same goes for “recently tagged X” RSS feed; it’s faster on high-frequency tags. I don’t think many of you were watching the most-recent “fiction” tags, but Google and Technorati were, and all the “database churning” was slowing the site down. Chris may have solved a major forum bug—the “Bermuda triangle” bug, where one message in 50 or 100 gets inexplicably lost. Cross your fingers and hope he’s right. LibraryThing now integrates with Shaman Drum, the legendary independent bookshop in Ann Arbor, MI. Edit your profile, check a checkbox (down at the bottom) and your work page will sport availability and pricing information from Shaman Drum and a link to their site. Right now, it’s just Shaman Drum. But the program is open to any bookstore. So long as you have a decent inventory system, it should be a snap. We’ve published participation details on our other blog. I’m going to approach a few, but feel free to let your local bookstore know about it. If you’ve spent time in Ann Arbor, you know that Shaman Drum is the best bookstore in town, and one of the best independents in the country. It doesn’t exactly lack for competition, with the flagship Borders store across the street and the Dawn Treader one street farther. I went to grad school in Ann Arbor, and Shaman Drum was practically a second home. I’m so glad the fine folks who run the place were receptive to my idea. An eighth swap site has set themselves up to integrate with LibraryThing—this time with a twist: Bookswapper.de is for Germans—you need to have a German address—to swap books in English. I think it’s a great idea. For someone like me, living near a good library and two or three good bookstores, swapping doesn’t necessarily make that much sense. When I weigh the mailing and bother costs against the costs of buying or borrowing a book, I usually choose the latter. But it would make a lot of sense for, say, French books, which can’t be found near me. * By catering to residents of Germany (Germans and a lot of expats) who read English, Bookswapper makes easy the satisfying of wants that otherwise would take a lot of effort to satisfy. Note: The original rules didn’t anticipate a site like this, so I’ve decided to list Bookswapper.de second in LibraryThing.de and last in all other LibraryThings. PS: I fixed a bug that was preventing LibraryThing from seeing everything our swap-site partners had. Numbers have jumped! Last night LibraryThing hit 8,388,608 books. That’s not books in LibraryThing—which stands at 7,268,540—but books ever in LibraryThing, including ones later deleted and some shadows. You might not think it, but 8,388,608 is a significant number. It’s half of 224, the largest number you can store in three bytes. It’s also the limit for MySQL’s “signed medium integer.” It’s 111111111111111111111111. The drawers are full of ones and there ain’t no twos. Anyway, we hit the brick wall last night. I had previously expanded the book number field, but I forgot to change the databases that store some related metadata and reviews. So, last night, you couldn’t add a book, and this morning you couldn’t review one. I’m really sorry about this. We’re good to go now. We won’t hit another wall until 8.4 billion books. Interestingly, the same thing happend to Slashdot last week. Even Homer nods. PS: I also fixed a bad problem with “search all fields.” Some queries ran quickly but some took ten or twenty minutes, by which time the user has generally gone on to better things (after re-running the query a dozen times which, let me tell you, doesn’t help much). It turns out MySQL was making periodic mis-guesses about which index to use. Somehow the index with eight million integers looked better than the one with a few hundred strings.